Are you thinking about retiring your used car? It can be hard to gauge when it’s actually time to call it a day and sink your hard-earned money into something newer, more tech-savvy, and more reliable. However, Toyota of Clermont is here to help you better decide when you should hang up the keys and get into a new ride. Here are 5 signs it’s time to retire your used car for good. Is it time to hand over the keys to your used car and find a new ride? Sign #1: You’ve been in a bad car accident. If you’ve been in a serious car accident and sustained pretty bad damage to your ride, it may be time to hand over the keys and get into something new. This is especially true if you have issues like frame damage or if insurance declares the car a total loss after inspecting it post-accident. Sign #2: You’ve got major rust issues. Have rust on your car? Small spots can be simple to fix, especially if you visit the Toyota Collision Center at our sister store, Toyota of Orlando. However, large or widespread patches of rust can mean very costly and difficult repairs that can eat up your time and budget. If you have bad rust, it may be time to call it quits with your used car. Sign #3: Replacement parts are getting harder to find. As cars get older, the parts get made less frequently. This means they can be harder to find AND more expensive to obtain. If you’re having trouble getting the right parts to fix or update your ride, then you might want to consider sinking that money into something new instead. Sign #4: You need repairs and the cost exceeds the value of the car. So you need Orlando auto repairs – how much is it going to cost you to get your car back up and running? Estimate your car’s value and if the cost of the repairs exceeds that, it’s not financially responsible to keep dumping money into the vehicle. Instead, use that cash as a down payment on a new ride. Sign #5: You have a cracked or damaged engine block. Is your car a little less reliable than it used to be? Is it stalling out or having trouble getting started? Is your performance less than stellar? It’s time to get under the hood and investigate. If you have serious damage to your engine block, then it may cost you a pretty penny to put things right. Weigh out the cost of the repairs versus the value of the car and consider skipping repairs, retiring your used car, and getting into something newer and more reliable. 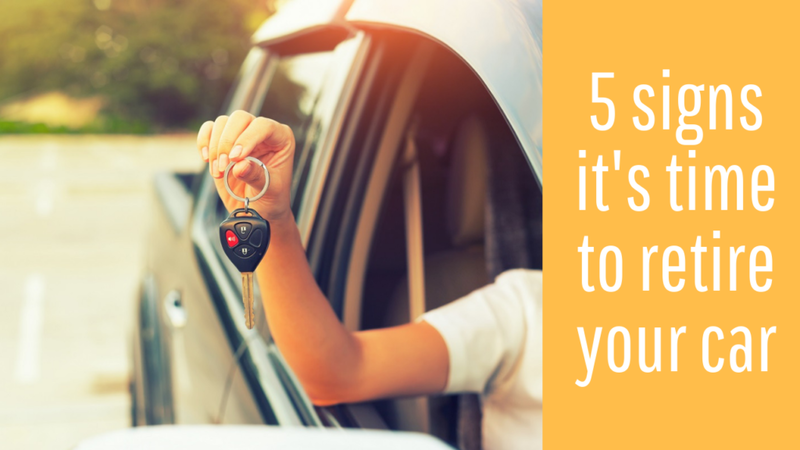 Still having trouble deciding if you should hang up the keys and get into the driver’s seat of something new? Call Toyota of Clermont today – we can assess any damage to your vehicle, give you a trade-in value, and help you shop for something new. We’re open seven days a week at 16851 State Road 50, just off the Florida Turnpike!